It is your donations that fuel the church and the programs that touch the lives and hearts of people throughout our community! Your offertory gifts help fund outreach programs, ministries, general operations, and building & maintenance, just to name a few. It is your generosity that helps Christ The King Church fulfill its mission to "Love God, Love Your Neighbor, Make Disciples." THANK YOU for supporting your parish; we couldn't do it without you! Sunday Offertory- Your generosity to the Sunday Offertory enables our parish to support our growing campus building needs, over 25 parish organizations, and the clergy and staff ministering to our parish and school. Our parish is able to accomplish all of this and give 10% income to Charitable Outreach organizations! Vision- Your Vision Fund contributions enable us to continue to fund and support the ministries we began or enhanced in 2003 and continue with great success today including the award winning Youth program, our Pre-K program, our After School program, our Senior program and those functions in the Eckert Center. It funds Scouts, RCIA, Terra Firma and our wonderful Music program. Capital Campaign- Our capital campaign began in 2013 and so much has been accomplished. A school safe room and administration building was completed in 2014. In 2015 a columbarium was built and our chapel was renovated. In 2016, the Family Life Center was completed. Once pledges are completely paid, our parish will be left with approximately $1.8 million in debt. Please make a pledge now to help the parish pay off the remaining debt! Msgr. 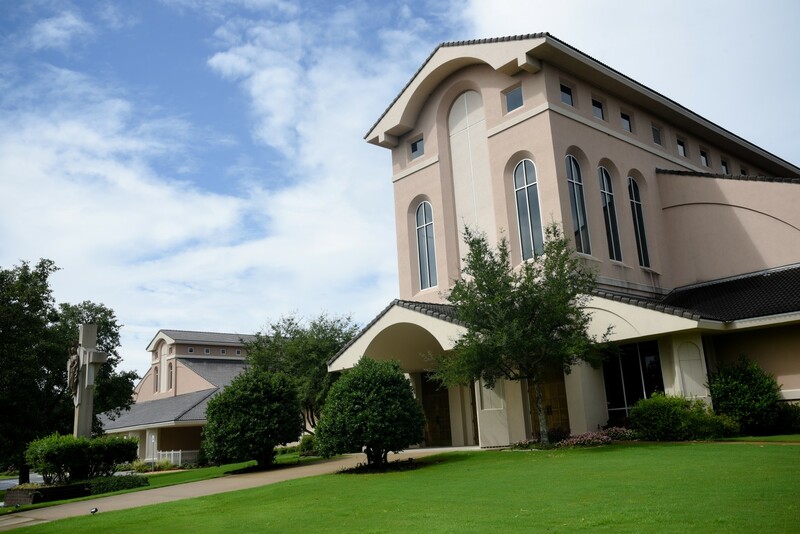 Hebert Endowment Fund-The Monsignor Hebert Endowment fund was established over 20 years ago in honor of Christ the King Church's former Pastor, Monsignor Gaston Hebert. This fund provides needs based scholarship assistance to CTK school families and faculty continuing education and enrichment. Honduras Mission- The Honduras mission began in 1996 and just celebrated 20 years of service to the people of Honduras, those living in profound poverty in Trujillo, Honduras and the surrounding villages. Every year this mission needs to raise $75,000 in order to fund the medical, surgical, educational, evangelical, and construction expenses. Thank you for your continued support. We Share is a secure, online service provider that processes bank debits and credit card transactions through the Christ the King Church website. We Share is a subsidiary of Liturgical Publications Inc. whose primary business is producing bulletins. The parish has been using LPI services since 2012. Christ the King Church has made online giving available for our weekly offerings, as well as for other parish collections and events. You’ll be able to give to any of the church collections and view complete financial records at any time. WeShare is a quick, easy, and secure way to make an online gift. You can make a one time donation, or schedule your offering on a weekly, monthly or annual basis. Click on the WeShare ( Donate Online) link above, click on "Make a Donation," pick your schedule, then complete and submit the form.